"Very easy software to use - but not a replacement for Mastercam." The ease of being able to visually see what the different planes of machining are is a great assistance for knowing what the machine will do. I don't like that I am unable to select and manipulate individual chains in the machining operations. I can change start points in the chains, but I'm not able to tell the software what order I want the machine to cut the parts in. Like my review heading states, we come to use HSM with a background in Mastercam. Mastercam is the industry standard, and for good reason. The ease of use, flexibility and years of experience cannot be dismissed as old school or unintelligent. So coming from that background, HSM has a lot of ground to cover. I think it's headed in the right direction. It makes it easy to allow for easy product changes so that there is a consistent flow from design to prototype to manufacturing. "Using HSM as a CAM solution for rapid prototyping"
Before you proceed, contact the technical support team of both, CNC machine manufacturer and Autodesk to identify the compatibility between HSM and your Milling Machine. 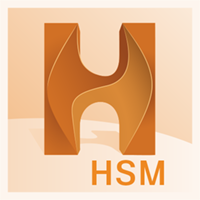 In some cases you may need to post-edit the generated code by HSM. Micromilling. The benefit using HSM is that you can specify in detail the milling path properties reducing the tool break frequency, especially the vertical cutting speed (Z axis). SmartKey generates, stored, and uses security objects, such as cryptographic keys, certificates, or secrets. The platform at first is difficult to work around but just needs to be tweaked a bit and it would work well. I love how it simplifies data protection across any cloud architecture. Smartkey provides key storage, encryption and tokenization, addresses performance and GRC requirements at the digital edge close to clouds, carriers and counterparties, and restricts key access to authorized users. * We monitor all HSM reviews to prevent fraudulent reviews and keep review quality high. We do not post reviews by company employees or direct competitors. Validated reviews require the user to submit a screenshot of the product containing their user ID, in order to verify a user is an actual user of the product. Hi there! Are you looking to implement a solution like HSM?